The mission of the American Board of Professional Psychology (ABPP) is to increase consumer protection through the examination and certification of psychologists who demonstrate competence in approved specialty areas in professional psychology. A specialty diploma certified through ABPP assures the public that a provider has successfully completed the education and training requirements of the specialty to provide quality services within that specialty. ABPP provides this assurance by having specialty boards carry out a formal examination process unique to the specialty. ABPP certification via a specialty board is a demonstration of clinical competence to practice in a specialty of professional clinical psychology. The American Board of Clinical Neuropsychology (ABCN) is the ABPP specialty board devoted to examining and certifying providers who specialize in the practice of clinical neuropsychology. APPCN recognizes and strongly values that board certification through ABCN offers consumer protection in the delivery of ethical, professional, and competent neuropsychological services. ABPP was incorporated in 1947 and ABCN was incorporated in 1981. APPCN believes that the interests of the public and the profession are best served by a single specialty certifying body and APPCN endorses ABPP/ABCN as that certifying body. 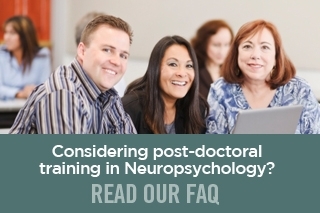 APPCN provides comprehensive high quality residency training in clinical neuropsychology. 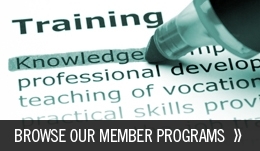 APPCN training programs commit to offering a competency-based curriculum for residency training in clinical neuropsychology and trainee resources that position graduates of APPCN for success in achieving board certification in clinical neuropsychology through ABPP/ABCN. Individuals who complete an APPCN member residency program may skip the portion of the ABCN specialty-specific credential application that requires documentation of their specialty-specific educational background (i.e., list all relevant coursework, didactics, and experiences).